* Pre-registration and fees required. ☺ Daily admission wristband required. Adults: $10; Kids ages 4-17: $6; age 3 & under free. 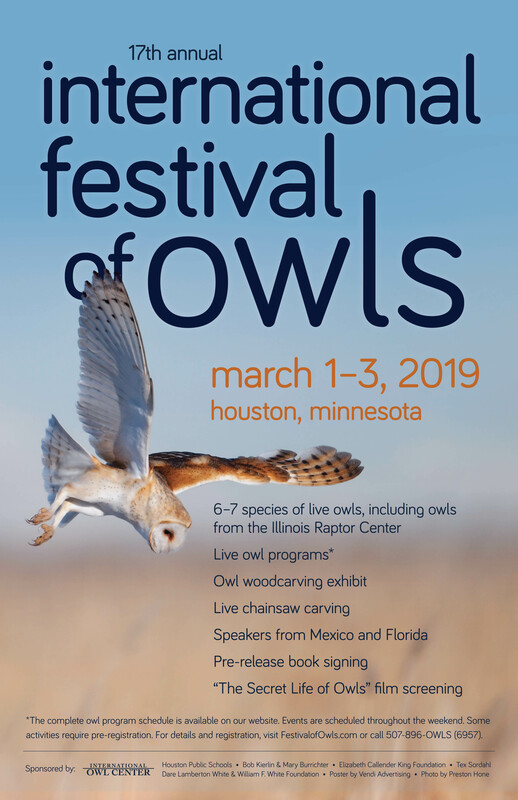 FREE ADMISSION for members of the International Owl Center. If you plan to come for the weekend, especially with a family, a membership is the most economical option, and comes with additional benefits. Additional fees listed for some activities. ​I want to get registered!